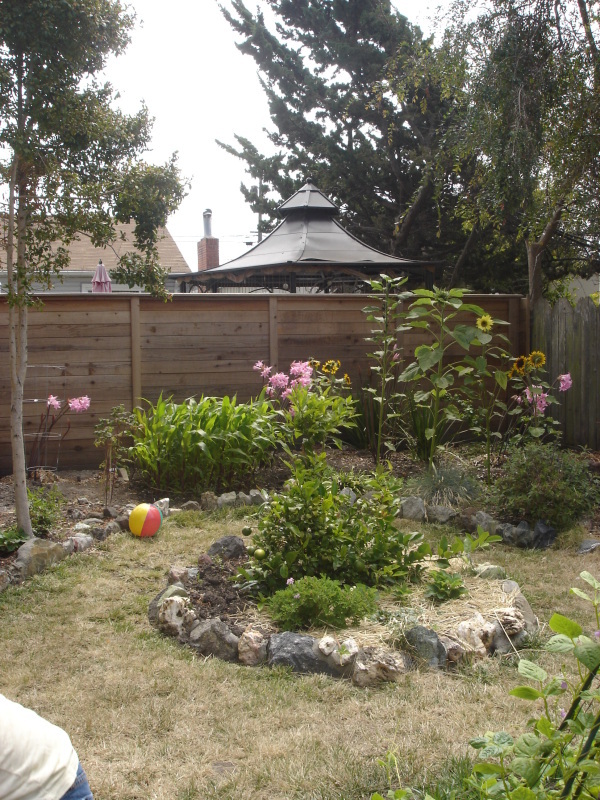 Front yard is natives/drought tolerant/habitat garden, with some rain catchment in the works. 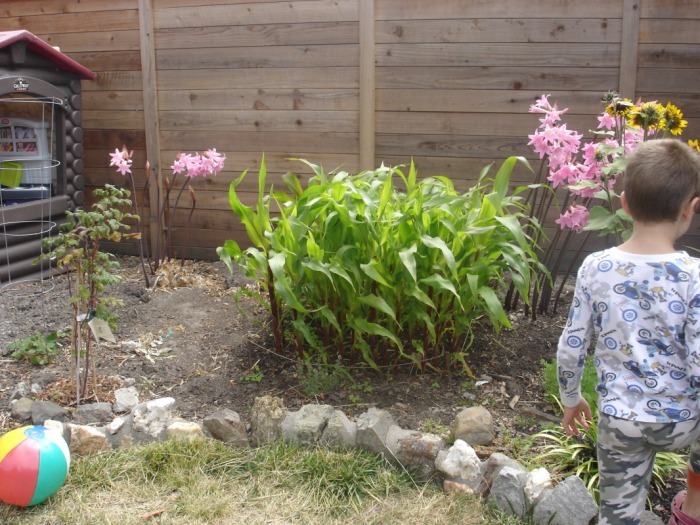 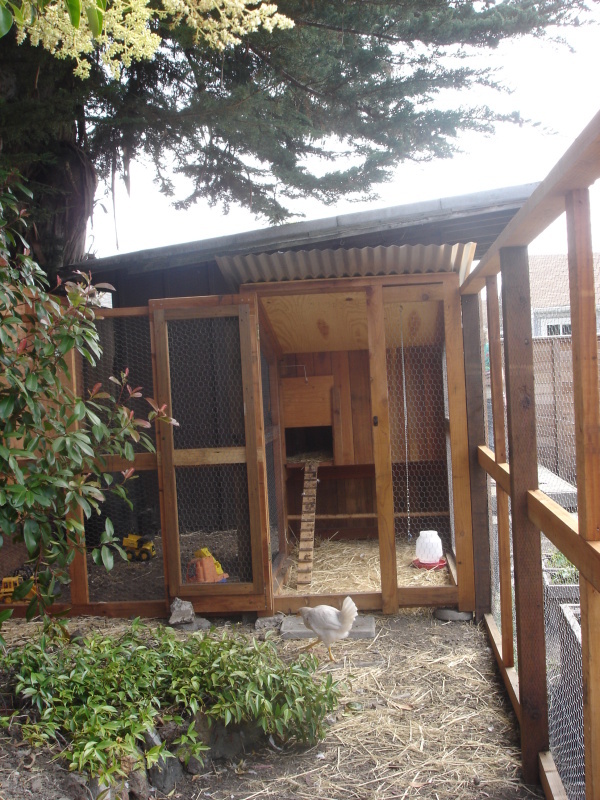 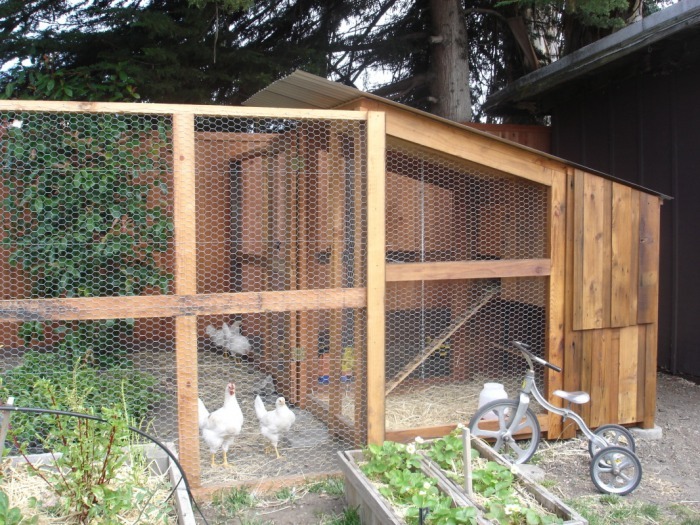 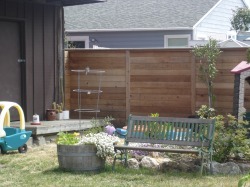 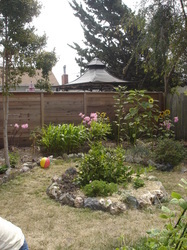 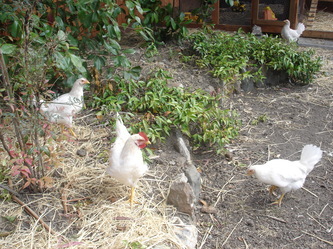 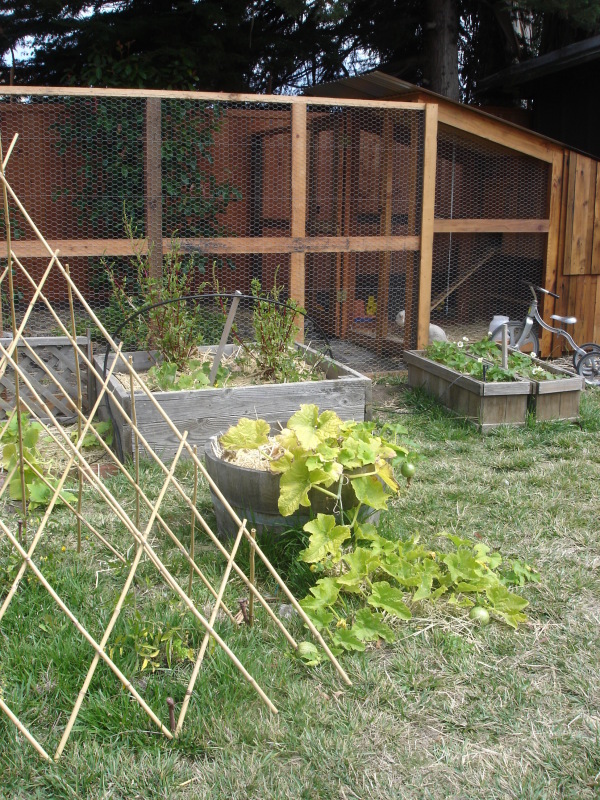 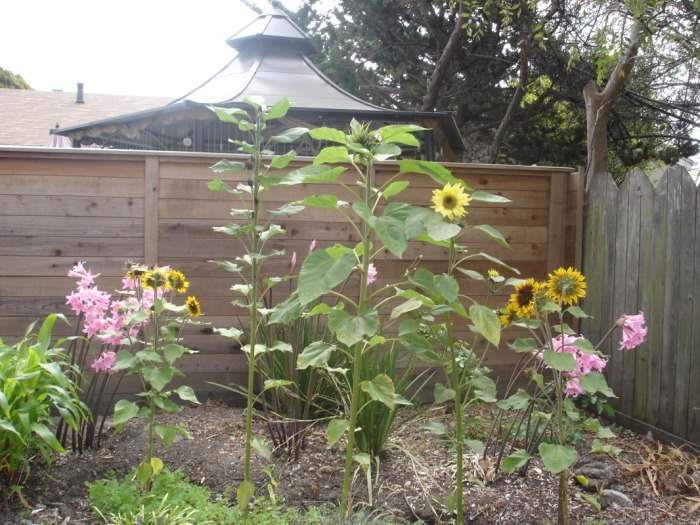 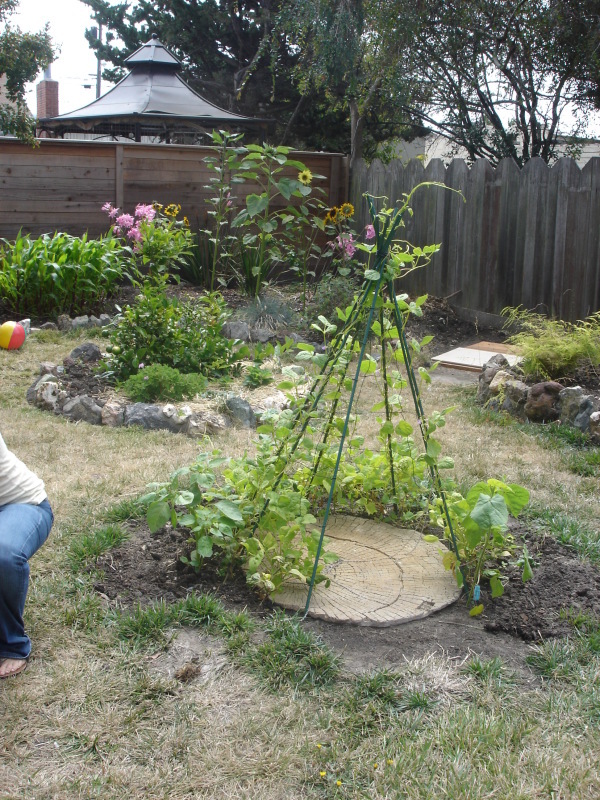 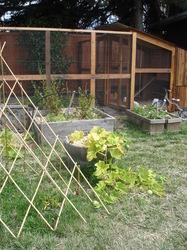 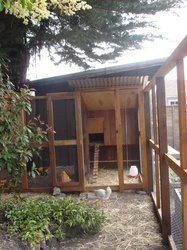 The backyard includes a chicken coop built from reclaimed 100-year-old redwood and a chicken run built around existing trees, veggies in raised beds and containers, a pond, beehive, and rain catchment in the works. 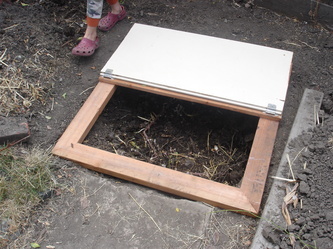 Under-ground compost with lid.